View Reviewsnap's performance management software for you business. Includes info on Reviewsnap, free trials, reviews, pricing, and FAQs. Reviewsnap is cloud-based performance management software that includes performance review and 360 degree feedback modules. Reviewsnap is designed to increase employee engagement, enhance communication and coaching, and save time and money with improved efficiency. Pros: Sends reminders when you need to perform actions. Ensures consistency of review processes. Cons: Not easy to set up. Interface not that logical for some users. Service bad at times. Bottomline: Assists your business to automate and improve your performance management strategy. What is Reviewsnap's price range? Reviewsnap will cost your business between $3,040.00 and $4,180.00 for up to 25 employees per year, depending on which plan you choose. Is there a Reviewsnap free trial? Yes. You can access your 10-day free Reviewsnap trial on their homepage. Where can I find the Reviewsnap login? Visit www.reviewsnap.com and log in at the top right of the page. What are some Reviewsnap alternatives? I've been a customer for over a year and the level of client support has been disappointing. At this time, I would not recommend Reviewsnap to anyone as there is no one supporting the actual users or administrator. Spellcheck is incredibly slow, doesn't filter out all CAP acronyms and doesn't remember words you want ignored. While journal entries allow for attachments, when you want to print all, none of those attachments come through, so you still have to go back into each entry. I have people pending my signature from a few years ago who never reported to me, and I can't just sign them to get them off my dashboard because they are not mapped to me. There is no personal profile editing (ie. changing photo, etc). There is no autosave, which means if you click submit while your internet has timed out you lose everything! I complete and save everything in OneNote, and only once a year go into ReviewSnap to copy and paste my entries. 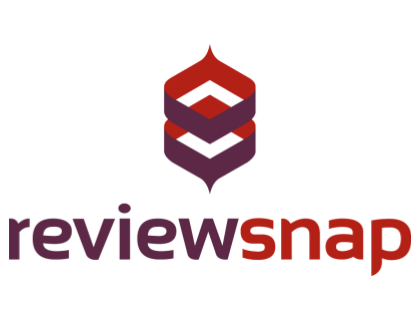 We use Reviewsnap and are just rolling it out after reviewing five others. It is simple and customizable. At the heart of Reviewsnap is automation, so that managers and HR departments don’t need to ensure all the appropriate paperwork is flowing around the organization. But also, at the heart of ReviewSnap is customization and tailoring of the process for each individual. Managers can ensure that the goals and measurement aligns to each employees unique situation, and maintain control that the process happens. Reviewsnap provides a simple, usable online platform so that both managers and employees can engage easily. Statistics dashboards give managers information at-a-glance as to the ‘health’ of their performance review process. Employees can login to the platform, perform self-assessments, and track their goals. Managers can create journal entries, add notes and attachments and guide employees through the process. Three-hundred-and-sixty degree appraisals are taken care of by Reviewsnap—which manages the process of inviting appraisers to offer an assessment of employees, collect the feedback, and organize the results—allowing managers to focus on the data and their conclusions. Appraisers are automatically ‘chased ‘ by the Reviewsnap platform if a 360 degree appraisal goes past its due date. Managers—no chasing required. What about salary reviews and compensation? Reviewsnap gives you tools for managing this process too. HR or managers can set budgets, manage compensation distribution, and control approvals. It’s all in the platform. Without a doubt, Reviewsnap is the best online tool I’ve experienced for performance management and subsequent compensation management. It takes much of the labor and overhead out of the performance management process, and allows managers to focus on the important activities. I expect many organizations to reap great financial benefits too, and the return on investment to be immediately obvious to CFOs and managers in your finance department. Reviewsnap offers a free trial. Take it for a test-drive, risk free.